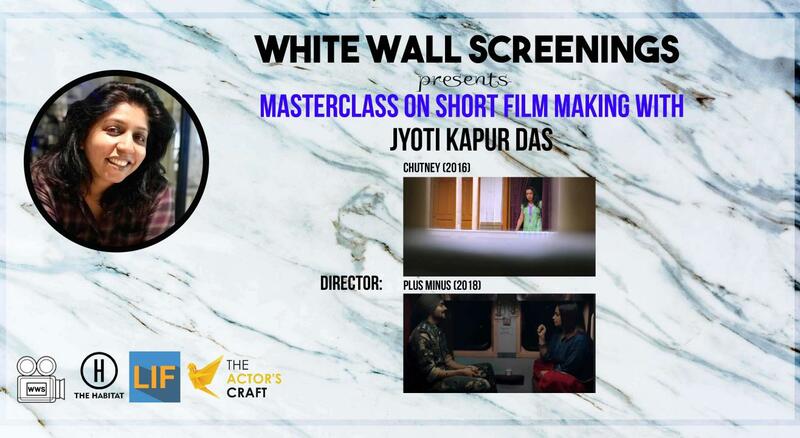 As a run up to the screenings, we present a series of insightful Masterclasses where filmmakers shall share their insights about everything that goes into making a film. In our third chapter we shall be in conversation with Jyoti Kapur Das. Jyoti, an alumnus of FTII (Editing), is on her way to make her first feature film after having made several short films. 'Chutney' starring Tisca Chopra and Rasika Dugal & Plus Minus starring Divya Dutta and Bhuvan Bam are a few examples of how, through her short films, Jyoti has created a huge impact. Standing at above 123.5 million views, Chutney also won her a Filmfare Award for the best Short Film in 2017 apart from winning several international awards!